The full title of this book is “Bind us Together … to be the church Jesus really wants”, and is subtitled “The restoration movement and its message for the church”. It grabbed my attention for two reasons. First, it offers a history of the Restoration movement in the UK, something that few other books have done (Andrew Walker’s “Restoring the Kingdom” being the most notable exception. And second, the author is from Southampton, where I live, so I was able to visit him to buy my copy and talk about it with him. John Fleming is a member of New Community Church in Southampton, a church which had its roots in the restoration movement in the seventies. The book is broken into three main sections. The first offers a history of restoration in the UK, and although briefer than Andrew Walker’s book, it is perhaps broader, mentioning a wider variety of new church groups that have come out of this movement. He talks about the original desire not to create a new denomination but that restoration would become a focal point for unity amongst believers. He traces the differences of opinion between restoration and “renewal” (mainly to do with ecclesiology) and quite perceptively draws out the key emphases of the early movement as well as those issues that became contentious. After reviewing the various new church “streams” that have emerged from restorationism, a fairly lengthy chapter tells the personal story of the author, in particular focusing on three churches he was part of. The first was George Tarleton’s church “the Cong” in Chilford. The second was Kendal Avenue Pentecostal in Southampton. The main focus though is on the third – Community Church, also in Southampton. This section will be of particular interest to all those who like myself know this church and have lived in Southampton. He goes on to examine the decline of many restorationist groups, due to disillusionment in some cases, and the vision becoming blurred in others. He notes that the emerging church takes a very different approach to ecclesiology, favouring being ‘experimental’ as opposed to the belief that churches can be built according to a New Testament “pattern”. He notes that many restorationist churches have embraced the idea of “cell church” but are actually becoming more “program based” in practice. Part 2 of the book is entitled “What is the church?” In it he examines the Alpha course teaching on the church, before embarking on a tour of the Bible, starting in the Old Testament, moving on to Jesus, and then the book of Acts. In many ways, this section is almost like a second book. In places it felt like little more than a retelling of the story of Acts, but he did try to develop a model for church leadership based on the example of the early church. The third part of the book is called “the way ahead”. Fleming asks “how is the church doing”? In particular his concern is that the New Testament teaches that there should not be many churches in a locality, but that there is just one church in a locality. Clearly we are a long way from this ideal. Even “churches together” initiatives are often little more than Christians “holding hands over the fences”, without any real desire to see those fences come down. While he is generally very complementary about restorationist groups of churches such as newfrontiers, he is disappointed at their lack of vision to work with other local churches. For example, they would rather plant a new church into an area, than send people to join an existing church there. 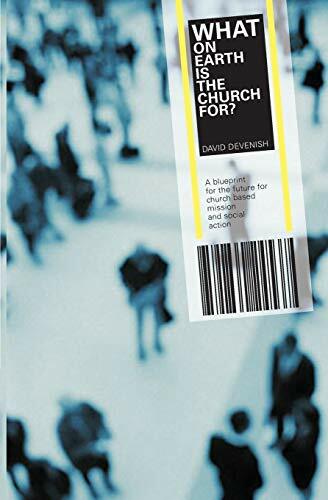 Much of the latter stages of the book could be described almost as John Fleming thinking out loud about the challenges associated with Christians joining together with all other believers in their locality to be the “church together”, not just “churches together”. As an appendix to the book there is an essay from 1971 by George Tarleton entitled “glory in the church”, setting forth a restorationist vision of what the church should be. It is hard to evaluate a book with three distinct parts. Section one is a great read for anyone interested in the story of the UK restorationist movement. Section two is useful perhaps as an introductory level overview of the Bible teaching and story of the development of the church. And section three is provocative in that the challenge for local churches to join together that is rarely heard amongst evangelicals, who tend to be pragmatic rather than idealistic with regards to ecumenism. The book is written in an informal, almost conversational style, and perhaps would have benefited from the second section being condensed considerably (or published separately). But despite having read over a dozen books on the church in the last year, this one managed to find some ground that had not been covered by the more prominent authors on ecclesiology. It is not necessarily that easy to get hold of a copy. I can give you the author’s email address if you ask in the comments. There seems to be a glut of books on new ways of doing church recently – liquid church, provocative church, deep church, messy church, intelligent church, relevant church, deliberate church, positive church, and here “total church”. Total Church is co-written by Tim Chester and Steve Timmis, who are leaders in the “Crowded House” in Sheffield. The unique thing about them is that while being very conservative doctrinally (I’m pretty sure they are Reformed and cessationist), their approach to church is quite radical. Their contention is this – churches should be built around gospel and community. The “gospel” part of this breaks down into two aspects – they are word-based, and they are mission-focused. Both of these must be done in the context of community, so the word is taught and applied in community and mission is done in community. They note that many churches are trying to be both faithful and contemporary with their presentation of the gospel, but ultimately find that there are very few opportunities for unbelievers to actually hear that message. They argue that churches have got so much going on that they transition from “mission” mode, to “maintenance” mode. We need to run fewer evangelistic events, youth clubs and social projects to allow more sharing of our lives with unbelievers. This means starting new congregations rather than growing existing ones. The type of “sharing of lives” they seek to cultivate in their house churches is one in which the church itself adapts to changes in peoples lives. So when a family have a baby, for example, it is the whole churches responsibility to help them and support them in practical ways, not just that family who have to adapt themselves so they can remain part of church life. And while avoiding “heavy shepherding”, they stress the importance of people making decisions (such as moving house, changing job) with regard to the community and in discussion with them, because they are family, just as a husband would discuss with his wife and family. By becoming a Christian, I belong to God and I belong to my brothers and sisters. Having laid a theological foundation for word and mission centred community, the second part of the book moves on to look at some practical topics. The authors do not insist that you give up your existing church models and do things their way, but lay down a challenge to “make community infectious”. Become a blessing by offering hospitality, showing practical care, dropping in on people. Create around you a group of Christians who will share their lives and encourage one another in the faith. You might start with your home group. Often home groups are little more than a meeting. Make yours a community by acting like a community. Having laid down the principles of “gospel” and “community”, the book shows how these two strands should run through everything we do. So evangelism must be done in community, sharing our lives rather than seeking out “evangelistic opportunities” to hit people with the gospel message. The conviction is that “our love for one another, to the extent that it imitates and conforms to the cross-love of Jesus for us, is evangelistic”. Evangelism involves sharing our lives and sharing the word, and so we need to introduce people to loving a community, not just to church meetings. There is a challenging chapter on social involvement, which warns that we tend to build churches aimed at professionals. We may not be racist, but are we truly open to those of a different social class to ourselves? The authors encourage us to move beyond “hit and run” social action, to a model where we offer the poor and needy a genuine place of welcome and community. Discipleship and training is also worked out in the context of community. New leaders are trained by a leader sharing their life and ministry with others. The conviction is that “truth cannot be taught effectively outside of close relationships.” Pastoral care, too, is to be handled in the context of community, not by simply passing people on to “professionals”, nor by becoming amateur “counsellors”, but by the conviction that as we live in community, applying the word in ordinary situations we will see lives transformed. Equally controversial is their chapter on youth work. They argue that much effort is spent with little fruit in running large scale youth events. Rather, it would be better for Christians to invest their time in community with a smaller number of young people, effectively discipling them. Also, the youth are to be included in the church community, rather than being filtered off into “youth church”. It is certainly an idea worth some reflection, but not without some serious practicalities to be worked through. I can wholeheartedly commend this book to anyone wanting to shake up their thinking about church. I didn’t agree with all of it, and was left in some cases wanting to know more (for example eldership was not discussed). But this book stands as a fine example of how we can have a radical ecclesiology without losing our biblical moorings. The church, … is not something additional or optional. It is at the very heart of God’s purposes. Jesus came to create a people who would model what it means to live under his rule. It would be a glorious outpost of the kingdom of God: an embassy of heaven. This is where the world can see what it means to be truly human. I’ve been reading a variety of books on the subject of the church recently, and this one comes from firmly within the group of churches I am part of – newfrontiers. This group of churches came out of the “house church movement” in the 70s and 80s in the UK, also known as restorationism. It had a big vision for what the church could and should be like, and many left the “old wineskins” of the traditional denominations to be part of the new thing that God was doing. So 20 years on, how will the question “what on earth is the church for” be answered? Basically, Dave Devenish outlines a vision for the church to be the agent of the kingdom of God. He explains what the kingdom is, and urges us not to be cynical about the future of the church, but to believe that God has plans for a glorious end-time church – a city set on a hill, even though there may also be increased persecution to be faced. Early on in the book he points out that social action – bringing practical love to people in need – is an indespensible aspect of the kingdom. The kingdom is about more than “my personal salvation”. The book also includes an explanation of the “now and not yet” nature of the kingdom. He moves on to talk about being missional – that mission is not just for the few, but that all believers are caught up in God’s mission. We don’t need “missionary societies” because that is what the church is supposed to be. Sanctification is to be understood as being set apart for God’s mission, rather than a retreat from the world. After laying the foundations, there are some chapters on the practical outworkings of this. He stresses the importance of church planting, an makes the case for modern-day apostles to play a part in this. He gives examples of social action projects and discusses the practical issues of being “missional” in the workplace and as cell groups. There are a few more chapters devoted to fleshing out the concept of the kingdom, including a helpful look at some of Jesus’ parables of the kingdom. The final chapters of the book explore the concept of the church as “one new man in Christ” – a community made up of people from diverse cultural backgrounds. In these chapters he looks particularly at non-Western cultures, such as Muslim culture, and the issues of reaching out to such people, including them in a church, and what a church plant in such a culture would look like. There is an honest assessment of the real dangers that will be faced by those who seek to reach such people, and a call to be willing to hear the commission of the Lord to go. I feel this could be an important book for a group of churches such as my own. It builds on the “restorationist” vision, but with a more prominent emphasis on being “missional” along with the social action aspects of the kingdom, which I think are both necessary. Though people who have read books on the kingdom and missional church will not find anything they have not read before, this book does a great job of introducing those topics to those who are new to it. I also appreciated the way that his look at cultural contextualisation was looking at non-Western cultures, rather than rehashing the huge amount of material discussing the cultural shift from modernism to postmodernism in our own society. If I were to criticise this book in any way, I would suggest that he sets up the “pastoral / discipling” church as bad in contrast to the “missional” church. Although I know what he is getting at, I think that if a church is not serious about the “pastoral” side of caring for people, then we will not create a loving community that attracts anyone. And equally if we are not serious about the need to “disciple” Christians, then we will not expect many of our church members to catch the vision of being a missional people. And this is what I feel that is needed most after reading a book like this. We need thousands of ordinary Christians to get the “big picture” of what it means for God’s kingdom to come on the earth, and to be so captivated by this vision that they will give themselves wholeheartedly to it. I hope this book gets read by many preachers and small group leaders who will be infectious with its message to those they influence. There seems to be no shortage of books about the church at the moment. Each one provides its own critique of what the typical church is doing wrong, and what it should do to rectify this. What makes Ian Stackhouse’s contribution unique is that it comes from a charismatic, criticising charismatics, with particular reference to the UK revivalist / renewal / restorationist scene. It does not make for light reading. The style of writing is academic and targetted at students of theology. It certainly had me reaching for the dictionary on occasions. His main thesis is that the contemporary charismatic church has capitulated to the “numbers game” – the all-consuming quest for getting more people to attend your church. This has resulted in at worst compromise, and at best pragmatism, where they simply try to mimick ‘success’ stories elsewhere. This can be seen in the way that churches are so quick to embrace the latest “fad” that promises growth, whether this be Alpha, Strategic Spiritual Warfare, Seeker Sensitive or even Toronto or Pensecola Revivalism. These fads, he argues, have diverted attention from discipleship. Many churches have even embraced a contradictory mix of theologically incompatible fads in their eagerness to grow numerically. Although he approves of a ‘catechesis’ for new believers, Stackhouse is critical of Alpha, which is viewed by many as a panacea. He also cautions against the excessively experiential focus of charismatic worship, with the need to “get something out of it”, which has led to “performance driven worship with its cult of the worship leader”. So what is the solution? He argues for a return to preaching, sacrements and prayer. This will result in growth that is intrinsic to the gospel – organic and not merely mathemematical. So first he calls churches back to preaching from the Bible, which has been displaced in charismatic circles by an emphasis on the prophetic. Where there is preaching, the trend is to preach for a decision rather than as a call to a different way of life. There is also the desire to be “relevant” which again can draw us away from the true demands of the gospel. He also cautions against the trend of preaching visions and ideas, and insists that we let the Biblical text speak. As in other areas of church life, Stackhouse calls for a fidelity to the basic metanarrative of the gospel as our benchmark for success, irrespective of numbers. The gospel, not the church’s relevancy or contemporaneity determines its identity and mission. Drawing on the insights of P T Forsyth, he argues that a romantic religion of affection and temperament has obscured the religion of will and conscience. We need to believe in the gospel as an agent of renewal. His next chapter on the sacrements I found a little harder to follow. He contrasted the holiness revivalism of Pensecola with the passive spirituality of Toronto, both of which he sees as missing the mark. Charismatic worship has emphasised musicianship above communion and liturgy resulting in a loss of transcendance. He highlights the importance of remembering what God has done in Christ, which is celebrated in the sacrements of communion and baptism. He rejects the “belonging before believing” model of church growth, which circumvents the scandal of the cross. In a chapter on ‘pneumatological concerns’ he critiques the “Toronto blessing”, arguing that it represents a step away from a pentecostal Spirit baptism to a focus on manifestation. He calls for a return to an appreciation of the sacrement of the laying on of hands – the gift of the Spirit is not normally unmediated. As he moves on to consider prayer, he notes that in renewal circles, prayer is almost exclusively conceived as intercession – a tool to be harnessed for church growth. He thinks we would benefit from returning to a “daily office” and a systematic praying of the Psalms, rather than the ad-hoc approach to reading and praying through the Scriptures that most charismatics take. He also laments the lost art of “contemplative prayer” understood as us listening to God as he takes the initiative. In a chapter on leadership he notes that the focus now seems to be managerial, rather than providing “cure for souls”, hence the senior leader is no longer a “pastor-theologian” but a CEO. He argues that we have lost sight of the pastor’s important role of personally knowing and caring for the members in his church. This is not the same as the pastor becoming a contemporary counsellor, and a commitment to this care for souls will of necessity result in a mega-church model being rejected, as the pastor simply cannot personally relate to more than 300 or so people. Theologians such as Peterson have advocated this necessity of smallness for pastoral ministry to operate correctly. Stackhouse doesn’t wholeheartedly embrace this idea, but admires it. He sees the “Jethro principle” that attempts to compensate for this in large Cell Churches as inadequate. The final chapter deals with the Ascension gifts of Eph 4, a favourite passage of renewalists if ever there was one. He argues that these are specifically intentioned for qualitative growth, not quantitative. However, he believes that if communities of mature believers are created, the quantitative growth will follow naturally. He calls on those with apostolic ministry to call the church to stay within the theological boundaries of historic orthodox Christianity. This includes a restoration of the doctrine of sin to the attenuated gospel that is being proclaimed. He also takes a swipe at the “militancy” of a post-millennial revivalist mindset, arguing that such an attitude is bogus as a way of constituting the people of God. In conclusion we are urged to forget about effectiveness and focus on fidelity to the Jesus narrative. I hope to move on now and read some recent books that present the vision from a restorationist perspective of the life and mission of the church – including Dave Devenish’s What on Earth is the Church For and John Hosier’s Christ’s Radiant Church. It will be interesting to see whether any of Ian Stackhouse’s criticisms (and other similar voices) have been recognised and responded to in either of these books.